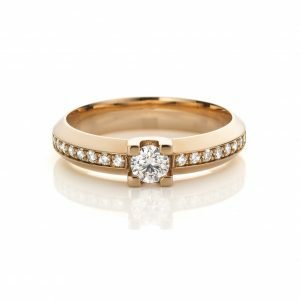 14 karat rosegold engagement ring, studded in the centre with a brilliant cut diamond. On both sides of the ring there are brilliant cut diamonds. 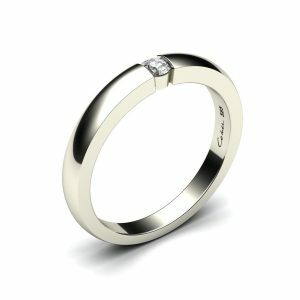 14 karat whitegold engagement ring. 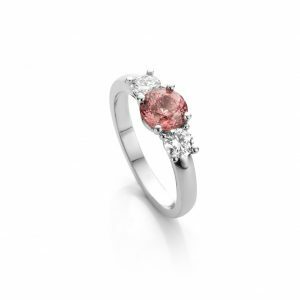 In the centre there is a peach-colored sapphire. 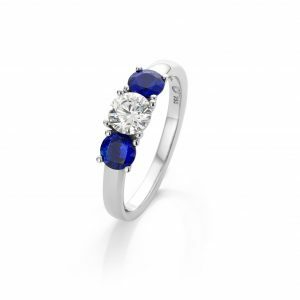 On both sides of the sapphire there is a brilliant cut diamond of excellent quailty. 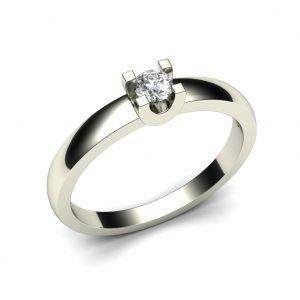 18 karat white gold engagement ring with an excellent brilliant cut diamond. On both sides of the diamond there is a royal blue sapphire. 18 karat white gold engagement ring. Studded with five brilliant cut diamonds of excellent quality. 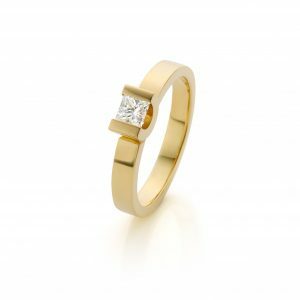 Modern engagement ring made of 14 carat yellow gold with in the middle set a princess cut diamonds. 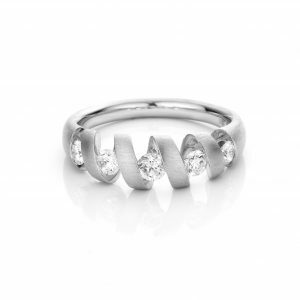 Modern engangement ring made of 14 carat white gold. In the middle you will find a princess cut diamond. 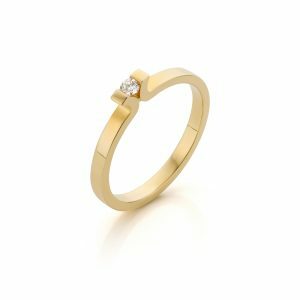 Classic 14 karat yellow gold engagement ring with a centre set diamond. 18 karat whitegold engagement ring. 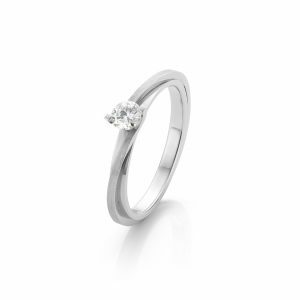 Studded with a brilliant cut diamond of excellent quality. 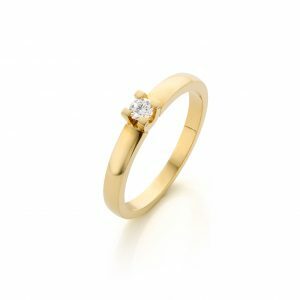 Elegant engagement ring made of 18 carat yellow gold centrally set with a brilliant cut diamond. 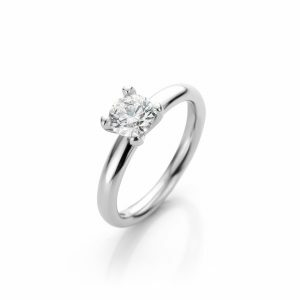 18 karat white gold engagement ring with a brilliant cut diamond centre stone. 14 karat white golden ring. Studded with an excellent brilliant cut diamond. 14 karat white gold engagement ring. 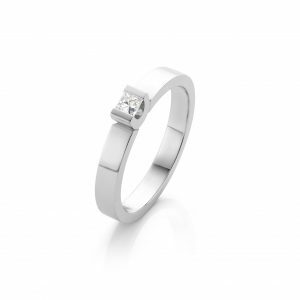 Studded with a brilliant cut diamond of excellent quality.